Susan Lucas is a professional artist, known for paintings with a contemporary edge and sophisticated color. Her work is in the tradition of the post-impressionists, with their interest in color and a semi-abstracted landscape. Susan’s paintings condense and give visual form to the experience of place. Each work is inspired by a particular experience or memory and exists on the edge between representation and abstraction. Using acrylic paints on canvas, the paint is applied in many layers, so the surface is enriched with subtle changes of colors, textures, and values. Details emerge and are submerged. Each painting expresses feelings or memories about a particular place. Each work is a dance between abstraction and representation, complexity and simplicity, the two-dimensional surface and the three-dimensional subject. 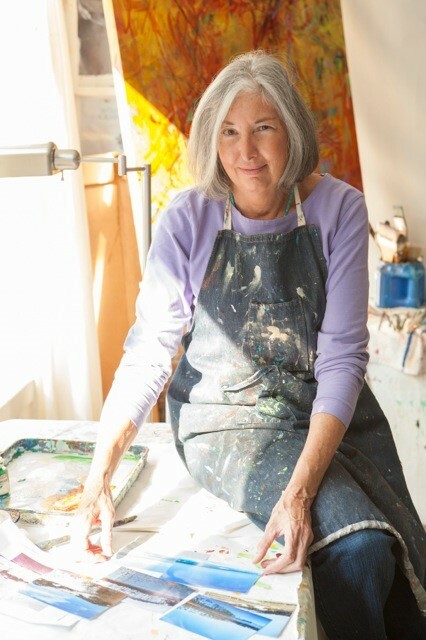 A full-time resident of Santa Rosa Beach, FL since 1999, Susan works in her studio just steps from the beach. A native of Louisville, Kentucky and a graduate of Rhodes College in Memphis she has lived and traveled in many places in this country and internationally, which enriched her art through different teachers, traditions, and experiences. She studied art at Virginia Intermont College, East Tennessee State University, and with inspiring workshop Instructors. In addition to creating art, Susan teaches and serves as an art coach, acts as an arts advocate in the community, and juries art shows. Her work is exhibited at Atelier Gallery, Charleston; 1514 Home/ In Design Interiors, Pensacola; Seaside’s Homeowner’s Collection Gallery, Tracery Interiors, and at her studio/gallery (by appointment). to see Susan’s resume, click here.